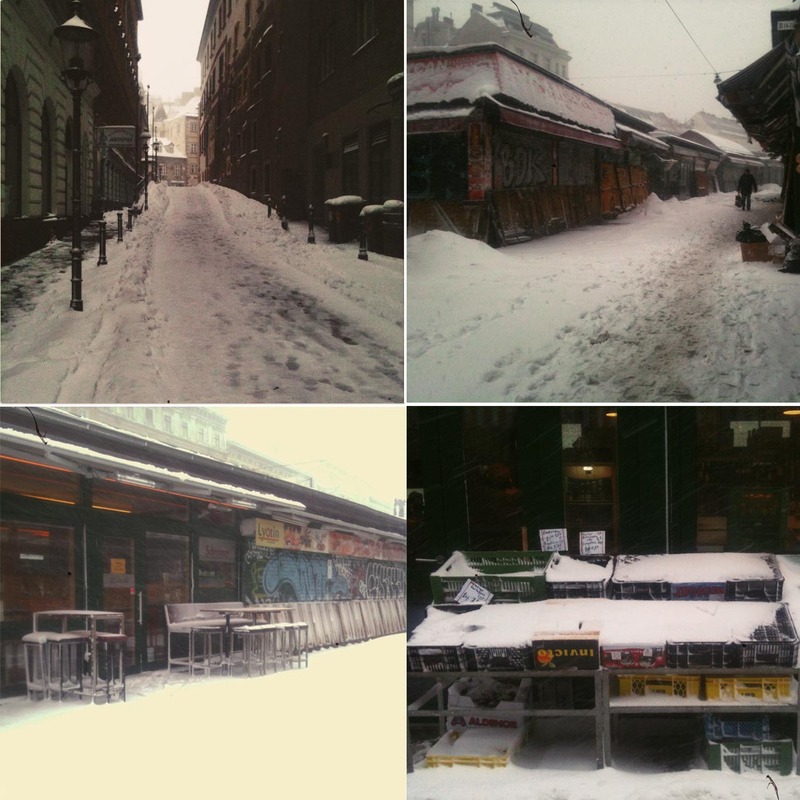 Yesterday we finally hat some magical winter wonderland happening in Vienna. It was snowing, stormy and just wonderful! I took my trusty old litte red camera, loaded it with a black & white film, got myself packed cosy and warm and just walked around the empty Naschmarkt. As I haven´t developed the film yet, here are some crappy (not that great) shots from Instagram, taken with my old iPhone 3.